In 1911 Knox was appointed the British Military Attaché in Petrograd. Knox spoke Russian fluently and on the outbreak of the First World War, became liaison officer to the Russian Army. Knox reported back to London about the way the Russian people responded to the outbreak of war: "Wives and mothers with children accompanied the reservists from point to point, deferring the hour of parting, and saw cruel scenes, but the women cried silently and there were no hysterics. The men generally were grave and quiet, but parties cheered one another as they met in the streets." Knox worked closely with leading political figures in order to keep Russia in the war. This included having regular meetings with Mikhail Rodzianko: "If there has ever been a Government that richly deserved a revolution it is the present one in Russia. If it escapes, it will only be because the members of the Duma are too patriotic to agitate in this time of crisis. I saw Rodzianko (President of the Duma) and spoke of the preventable sufferings of the people and of my astonishment at their patience under conditions that would have very soon driven me to break windows. He only laughed and said that I had a hot head." As well as working closely with George Buchanan, the British Ambassador in Russia, he also made several visits to the Eastern Front. After the overthrow of Tsar Nicholas II and the creation of a Provisional Government in Russia, Knox became convinced that the British should give full support to Alexander Kerensky: "There is only one man who can save the country, and that is Kerensky, for this little half-Jew lawyer has still the confidence of the over-articulate Petrograd mob, who, being armed, are masters of the situation. The remaining members of the Government may represent the people of Russia outside the Petrograd mob, but the people of Russia, being unarmed and inarticulate, do not count. The Provisional Government could not exist in Petrograd if it were not for Kerensky." Knox watched the Bolsheviks take control of the Winter Palace: "The garrison of the Winter Palace originally consisted of about 2,000 all told, including detachments from yunker and ensign schools, three squadrons of Cossacks, a company of volunteers and a company from the Women's Battalion. The garrison had dwindled owing to desertions, for their were no provisions and it had been practically starved for two days. There was no strong man to take command and to enforce discipline. No one any stomach for fighting; and some of the ensigns even borrowed great coats of soldier pattern from the women to enable them to escape unobserved." Knox intervened in order to help free members of the Women's Battalion who had been captured during the revolution. This involved him negotiating with Vladimir Antonov-Ovseenko: "I borrowed the Ambassador's car and drove to the Bolshevik headquarters at the Smolny Institute. This big building, formerly a school for the daughters of the nobility, is now thick with the dirt of revolution. Sentries and others tried to put me off, but I at length penetrated to the third floor, where I saw the Secretary of the Military-Revolutionary Committee (Vladimir Antonov-Ovseenko) and demanded that the women should be set free at once. He tried to procrastinate, but I told him that if they were not liberated at once I would set the opinion of the civilized world against the Bolsheviks." In 1918, the journalist, Arthur Ransome was recruited as a spy by the British government. He had a close relationship with Leon Trotsky and Karl Radek. Much of his information came from Trotsky's secretary, Evgenia Shelepina. Knox was unaware of this and considered Ransome's pro-Bolshevik articles that were appearing in the Daily News and the New York Times, treasonous. He suggested that Ransome should be "shot like a dog". 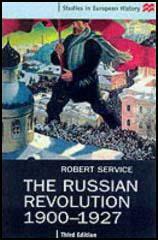 On his return to England he published With the Russian Army: 1914-1917 (1921). 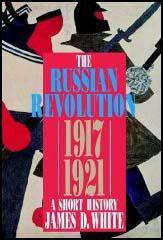 As well as his work during the First World War the book contained a detailed account of the Russian Revolution. A member of the the Conservative Party, at the 1924 General Election, he was elected as Member of Parliament (MP) for Wycombe, defeating the sitting Liberal MP Vera Terrington. He held his seat through subsequent general elections, serving in the House of Commons until the 1945 General Election. Alfred Knox died in 1964. Wives and mothers with children accompanied the reservists from point to point, deferring the hour of parting, and saw cruel scenes, but the women cried silently and there were no hysterics. The men generally were grave and quiet, but parties cheered one another as they met in the streets. (3) On 1st March, 1917, Alfred Knox visited Mikhail Rodzianko, the President of the Duma. (4) In his book With the Russian Army: 1914-1917, Alfred Knox described how Alexander Protopopov arrived at the Duma after the abdication of Nicholas II. A student standing in the open space before the Taurida Palace was accosted by an individual in an old fur coat with muffled-up face. "Tell me, you are a student?" "Yes." "I ask you to take me to the Executive Committee of the Imperial Duma. I am the former Minister of the Interior, Protopopov"; then in a lower voice with lowered head: I also wish well to my country, and that is the reason I have come of my own free will. Take me to the people who want me." (5) Alfred Knox believed that Alexander Kerensky was a vital member of the Provisional Government. There is only one man who can save the country, and that is Kerensky, for this little half-Jew lawyer has still the confidence of the over-articulate Petrograd mob, who, being armed, are masters of the situation. The remaining members of the Government may represent the people of Russia outside the Petrograd mob, but the people of Russia, being unarmed and inarticulate, do not count. The Provisional Government could not exist in Petrograd if it were not for Kerensky. Events have moved with dramatic quickness. Kerensky returned from the front last night and, in a stormy meeting of the Ministry, demanded dictatorial powers in order to bring the army back to discipline. The socialists disagreed. Lvov and Tereshchenko did their utmost to reconcile the diverging views. While addressing the men he was handed a telegram telling him of the disaster on the South-West Front, where the Germans have broken through. He took back the telegram to the Ministerial Council and the attitude changed. Lvov has resigned and Kerensky will be Prime Minister and Minister of War. (8) Alfred Knox was one of those who observed the Bolsheviks taking the Winter Palace on 25th October, 1917. The garrison of the Winter Palace originally consisted of about 2,000 all told, including detachments from yunker and ensign schools, three squadrons of Cossacks, a company of volunteers and a company from the Women's Battalion. The garrison had dwindled owing to desertions, for their were no provisions and it had been practically starved for two days. There was no strong man to take command and to enforce discipline. No one any stomach for fighting; and some of the ensigns even borrowed great coats of soldier pattern from the women to enable them to escape unobserved. The greater part of the yunkers of the Mikhail Artillery School returned to their school, taking with them four out of their six guns. Then the Cossacks left, declaring themselves opposed to bloodshed! At 10 p.m. a large part of the ensigns left, leaving few defenders except the ensigns of the Engineering School and the company of women. 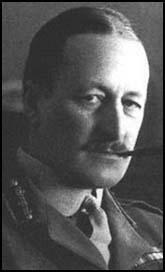 (9) In his memoirs Alfred Knox reported that he helped free the Women's Battalion from the Bolsheviks. When I returned to the Embassy I found Lady Georgina in great excitement. Two officer instructors of the Women's Battalion had come with a terrible story to the effect that the 137 women taken in the Winter Palace had been beaten and tortured, and were now being outraged in the Grenadersky barracks. I borrowed the Ambassador's car and drove to the Bolshevik headquarters at the Smolny Institute. This big building, formerly a school for the daughters of the nobility, is now thick with the dirt of revolution. Sentries and others tried to put me off, but I at length penetrated to the third floor, where I saw the Secretary of the Military-Revolutionary Committee (Vladimir Antonov-Ovseenko) and demanded that the women should be set free at once. He tried to procrastinate, but I told him that if they were not liberated at once I would set the opinion of the civilized world against the Bolsheviks. Antonov-Ovseenko tried soothe me and begged me to talk French instead of Russian, as the waiting-room was crowded and we were attracting attention. He himself talked excellent French and was evidently a man of education and culture. Finally, after two visits to the adjoining room, where he said the Council was sitting, he came back to say that the order for the release would be signed at once. I drove with the officers to the Grenadersky barracks and went to see the Regimental Committee. The commissar, a repulsive individual of Semitic type, refused to release the women without a written order, on the ground that "they had resisted to the last at the Palace, fighting desperately with bombs and revolvers." The Bolsheviks in this instance were as good as their word. The order arrived at the regiment soon after my departure, and the women were escorted by a large guard to the Finland Station, where they left at 9 p.m. for Levashovo, their battalion headquarters. As far as could be ascertained, though they had been beaten and insulted in every way in the Pavlovsky barracks and on their way to the Grenadersky Regiment, they were not actually hurt in the barracks of the latter. They were, however, only separated from the men's quarter by a barrier extemporized from beds, and blackguards among the soldiery had shouted threats that had made them tremble for the fate that the night might bring.